Plan your summer reading with our latest reviews and series updates! This weekend, Barnes & Noble is launching a new nationwide program called "Kids' Book Hangout." The program is intended to give young bookworms ages 6–12 a space to talk about books in its stores while playing games and activities. 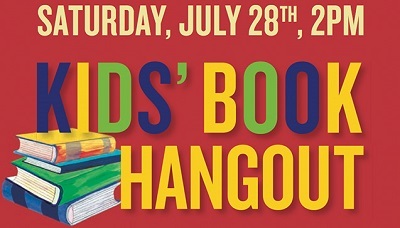 The first Hangout will be held in all Barnes & Noble stores on Saturday, July 28th, at 2pm and will focus on four featured titles from various genres and aimed at various reading levels: BROWN GIRL DREAMING by Jacqueline Woodson; MORE SCRAWNY THAN BRAWNY by Aaron Reynolds; THE BASQUE DRAGON by Adam Gidwitz; and SHE LOVES YOU (Yeah, Yeah, Yeah) by Ann Hood. 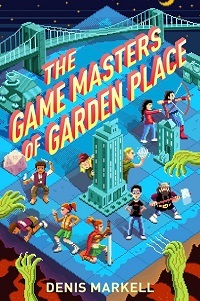 At each store, Barnes & Noble will host activities related to the books and give participants book-related giveaways --- and the four featured titles will be available with a 20% discount. Click here for more info, and make sure to sign up for the event online at this link, and find your local store here. 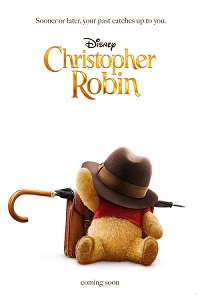 Looking ahead to early August, we are just over one week away from the premiere of Christopher Robin, a new PG-rated film based on the life of fictional character Christopher Robin, best friend of Winnie-the-Pooh. In the movie, Christopher Robin is all grown up and focused on work and family --- but he has left his imagination behind. Now his friends from the Hundred Acre Wood are venturing into our world to remind him of his childhood and help him find his imagination again. ICYMI, you can see the trailer here. While this is a fantastic time to revisit A. A. Milne's classic, there are a few new releases out this month that can also help you and your children discover (or rediscover) the Hundred Acre Wood and all of its furry inhabitants. Up first, we have CHRISTOPHER ROBIN: The Novelization by Elizabeth Rudnick. If you and your children love the movie, this is a great way to keep the fun going while drawing the focus back to reading. This book will be perfect for fans looking to revisit the story while they wait for the film to become available on DVD or streaming services. Slightly older (and even grown-up) readers will enjoy CHRISTOPHER ROBIN: The Little Book of Pooh-isms. Written by Brittany Rubiano --- with help from Piglet, Eeyore, Rabbit, Owl and Tigger, too --- this book spans decades' worth of unforgettable moments from Pooh and friends and highlights all the best quotes and snippets of childhood wisdom. Of course, there is also a book for little readers: CHRISTOPHER ROBIN: A Boy, A Bear, A Balloon, written by Brittany Rubiano and illustrated by Mike Wall. This picture book presents a scaled-down, but no less beautiful or heartwarming, version of the film for readers who are not quite ready for the more complicated themes. If you are looking to start a new series this summer, I highly recommend Epic Fails by Erik Slader and Ben Thompson. 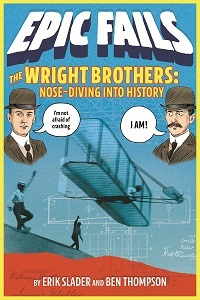 In this laugh-out-loud new series, Slader and Thompson document some of the most terrific fails in history, starting with the Wright brothers. As they tell the stories of some of history's biggest moments, they explore the surprising stories behind each fail, and how sometimes success only comes after a few pretty epic failures. Author Erik Slader stopped by our blog earlier this month to introduce the series, so make sure to check out his post before you (nose)dive in. 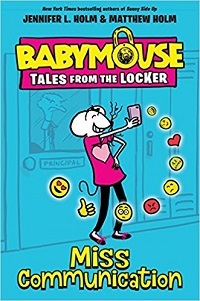 Read on for our reviews and this month's series update, where we've added titles to 19 series, including Babymouse Tales from the Locker, Spirit Hunters and Unicorn Rescue Society. 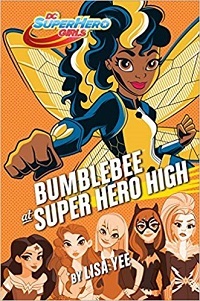 When the world's honey supply starts to drop and some of her old tech disappears, super student Bumblebee enlists her friends Wonder Woman, Batgirl, Poison Ivy and Beast Boy to help her find out why. Is it a new villain, or someone from the past? With so much going on at Super Hero High, Bumblebee isn't sure how she's going to keep an eye on everything, but she's determined to do it with style...and sting! Reviewed by Katherine Szabo. Ping! Ping! The sound of texting is in the air. Everyone at middle school has a cell phone. Babymouse just has to get one, too. But having a phone is a lot of work! Building up a following on SoFamous, learning text lingo, keeping up with all the important koala videos . . . Babymouse is ready to tear her whiskers out. Why does it suddenly feel like she has no friends? Somehow, Babymouse needs to figure out how to stop worrying and love her smartphone...if Locker doesn't eat it first. #Typical. Reviewed by Dana Cuadrado. All her life, Cricket's mama has told her stories about a secret room painted by a mysterious artist. Now Mama's run off, and Cricket thinks the room might be the answer to getting her to come back. Cricket's only clue is a coin from a grown-over ghost town in the woods, so she runs away to find the room. Surviving in the woods isn't easy. 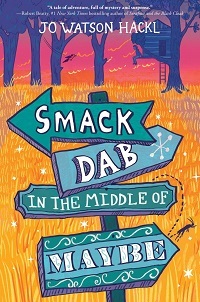 While Cricket camps out in an old tree house and looks for clues, she meets the last resident of the ghost town, encounters a poetry-loving dog and discovers that sometimes you have to get a little lost...to really find your way. Reviewed by Sarah Rachel Egelman. Norbert Riddle lives in the United State of Earth, where normal means following the rules and being exactly the same as everyone else, down to the plain gray jumpsuits he wears everyday. He's been normal his whole life --- until a moment of temporary hilarity when he does a funny impression of their dictator, Loving Leader...and gets caught! Now, Norbert's been arrested and banished to planet Zorquat 3, where kids who defy the rules roam free in the Astronuts camp. Norbert has been taught his whole life that different is wrong, but everyone at Astronuts is crazy, creative and insane! Reviewed by Christine M. Irvin. Everyone at The Smith School is obsessed with Monster Mayhem, the latest reality video game craze. But when the mastermind behind the game is suddenly kidnapped, it becomes clear that the kidnappers are playing for more than just special badges. The group tangles with the world’s most notorious hacker, gets in trouble for the possible theft of the Mona Lisa, and prepares for the ultimate showdown in London. But not before they have to contend with one more hurdle: the agonizing Smith School Spring Formal. Along the way, they discover they are much stronger as a team they can ever be alone. Reviewed by Dana Cuadrado. In this first installment of the brand new Epic Fails series, Ben Thompson and Erik Slader take readers through the Wright brothers' many mishaps and misadventures as they paved the way for modern aviation. The Epic Fails series takes a humorous and unexpected view of history, exploring the surprising stories behind a variety of groundbreaking discoveries, voyages, experiments and innovations, illustrating how many of mankind's biggest successes are in fact the result of some pretty epic failures. Reviewed by Christine M. Irvin. Today, everyone is familiar with Neil Armstrong’s famous words as he first set foot on the moon: “one small step for man; one giant leap for mankind.” He made it look easy, but America’s journey to the moon was anything but simple. In 1957, when the Soviet Union launched Sputnik, the world’s first satellite, into orbit, America had barely crossed the starting line of the great Space Race. Still, we didn’t give up. With each failure, we gleaned valuable information about what went wrong, and how to avoid it in the future. So we tried again, and each time we failed, we failed a little bit better. Reviewed by Christine M. Irvin. The Eastland disaster took more passenger lives than the Titanic and stands today as the greatest loss of life on the Great Lakes. CAPSIZED! details the events leading up to the fateful day and provides a nail-biting, minute-by-minute account of the ship's capsizing. From the courage of the survivors to the despair of families who lost loved ones, author Patricia Sutton brings to light the stories of ordinary working people enduring the unthinkable. Reviewed by Sally Tibbetts. A boy washes up on a mysterious, seemingly uninhabited beach. Who is he? How did he get there? The boy can’t remember. When he sees a light shining over the foreboding wall of trees that surrounds the shore, he decides to follow it, in the hopes that it will lead him to answers. The boy’s journey is a struggle for survival and a search for the truth --- a terrifying truth that once uncovered, will force him to face his greatest fear of all if he is to go home. Reviewed by Hasnah Farraj-Doleh. Finally, a FUN book to read with kids that helps bridge the gap between what's being taught in school and how today's parents learned math back in the day. Giggle your way through entertaining lessons on addition and subtraction involving muffins, turkey sandwiches, kittens, googly eyes and more! Actress, math whiz and New York Times bestselling author Danica McKellar uses her proven math techniques to give children the solid grasp of addition and subtraction that will be key to their success and unlock their potential in the classroom and beyond! Reviewed by Christine M. Irvin. Painter and sculptor Rosa Bonheur (1822–1899) led a highly nontraditional life, especially for a woman in the 19th century. She kept lions as pets, was awarded the Legion of Honor by Empress Eugénie and befriended “Buffalo Bill” Cody. She became a painter at a time when women were often only reluctantly educated as artists. Her unconventional artistic work habits, including visiting slaughterhouses to sketch an animal’s anatomy and wearing men’s clothing to gain access to places like a horse fair, where women were not allowed, helped her become one of the most beloved female painters of her time. Reviewed by Kathleen M. Purcell. A dangerous black fog looms outside the Sunrise Valley, but its inhabitants are kept safe by an ingenious machine known as the dam. Pig’s father built the dam and taught him how to maintain it. And then this brilliant inventor did the unthinkable: he walked into the fog and was never seen again. 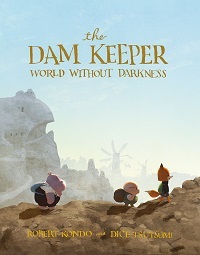 Now Pig is the dam keeper. But a new threat is on the horizon: a tidal wave of black fog is descending on Sunrise Valley. Now Pig, Fox and Hippo must face the greatest danger imaginable: the world on the other side of the dam. Reviewed by Michael Lee Harris. The Ministry of SUITs, Book 3 --- Final Book in the Series! Capturing the heartwarming magic of Walt Disney Studios' upcoming Christopher Robin film, this novelization pulls fans back into the world of Pooh through a book that enables them to relive the story and revisit their old pals whenever they please. Focusing on the power of love, friendship and family, the novelization invites readers to join Christopher Robin, Pooh and their friends from the Hundred Acre Wood on an all-new adventure that adds new depth to timeless and beloved characters old and new. 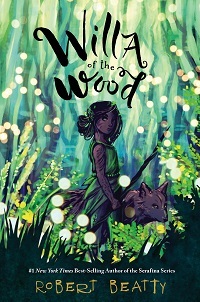 In a foggy archipelago called the City of Islands, 12-year-old Mara, servant to the powerful Lady of the Tides, must earn her keep by searching for magical treasures deep in the murky ocean. 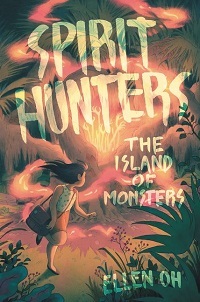 Then Mara finds the skeletons of strange hybrid creatures that haven’t existed in the city for centuries --- all humming with a powerful spell-song. Convinced her discovery will earn her the opportunity to study magic, Mara shares them with the Lady. But instead of a reward, the Lady gives Mara a new challenge: to sneak into the island fortress, the Winter Blade. Since T’Shawn’s dad died, his mother has been struggling to make ends meet. So when he’s offered a spot on a diving team, he knows that it would be expensive. T'Shawn is a good kid, so he thinks his mom might be willing to bear the cost…until he his older brother, Lamont, gets released from prison. Luckily, T’Shawn is given a scholarship, but when criminal activity increases in the neighborhood and Lamont is the suspect, T’Shawn begins to worry that maybe his brother hasn’t left his criminal past. He struggles to hold on to the hope that they can put the broken pieces of their relationship back together. Tucked deep in the woods and surrounded by a great iron fence lies Brassmere Academy for the Extraordinary, a school for orphans with strange and wonderful gifts. Twelve-year-old Plum has lived there for as long as she can remember. Each night, she ventures into her dreams alongside her three best friends, Vien, Gwendle and Artem to fight monsters and journey on dangerous quests. But one night, Plum gets a mysterious warning that she and her friends are no longer safe. And the next morning, Artem is nowhere to be found. Will they be able to find Artem before it's too late? Freddie Mole loves his family They are tight-knit, but they struggle day to day to make ends meet. Times are tough, and Freddie is determined to help. Then Freddie finds out about a job opening at a local circus --- and he can't believe his luck when he is hired. At the circus, Freddie sweeps and cleans and is praised for his work. One thing leads to another, and he's asked to be understudy for some of the acts. The trapeze stunts are daunting enough --- can Freddie face the lion's cage? After Cecelia Dahl’s little brother, Celadon, dies tragically, his soul goes where all souls go: the Land of Yesterday --- and Cecelia is left behind in a fractured world without him and her grief-stricken mother abandons the land of the living to follow Celadon into Yesterday. It’s up to Cecelia to put her family back together, so she ventures into the Land of Yesterday on her own. But it’s clear that even if she finds her family, she might not be able to save them. And if she’s not careful, she might just become a lost soul herself, trapped forever in Yesterday. When Margot Blumenthal removes a bright blue slug alien attached to Mateo Flores’s back, the school play co-stars know it’s definitely not going to be a regular day at West Cove Middle School. 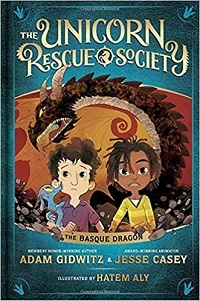 They reluctantly team up and soon discover that the mayor and countless other adults, including Mateo’s dad, are infected --- which means that West Cove, and possibly all of Earth, is in danger. What will they (and their new scientist friend) do? Ditch class and protect humankind, of course --- because one unexcused absence doesn’t matter when the world is at stake! You wake up in the fictional land of Astorya, where stories from our world come to life. You're a real human being, and in this fictional world, that makes you a superhero. Armed with your trusty pencil you have the power to create: what you write, draw or scribble in the book becomes part of the story! Only you can rescue Prince S. from the evil Queen Rulette. Aided by the Couriers, you must write, draw and puzzle your way through a hilarious adventure that is unique to every reader! And most importantly, you must prove that the pencil is mightier than the sword. Alex’s original hair-raising tales are the only thing keeping the witch Natacha happy, but soon he’ll run out of pages to read from and be trapped forever. He’s loved scary stories his whole life, and he knows most don’t have a happily ever after. Now that Alex is trapped in a true terrifying tale, he’s desperate for a different ending --- and a way out of this twisted place. Nick wants to change his life. For 12 whole years, he’s done what his hard-working, immigrant parents want him to do. Now he’s looking for his own American dream and he thinks he’s found it. The local baseball team is having a batboy contest. Nick’s goal --- to be a Mudpuppy for a day! One thing Nick knows how to do is work hard, and he practices every day. But that’s not enough --- to get to the contest, Nick resorts to a plan that has him lying to his parents and blackmailing his uncle. All while dodging the school bully, who’s determined to win even by playing dirty. R.L. Stine --- the godfather of Goosebumps --- and some of the most popular authors today bring an unrivaled mastery of all things fearsome, frightening and fantabulous to this terrifying anthology of all-new scary short stories. SCREAM AND SCREAM AGAIN! is full of twists and turns, dark corners and devilish revenge. Collected in conjunction with the Mystery Writers of America, this set includes works from New York Times bestselling authors telling tales of wicked ice-cream trucks, time-traveling heroes, witches and warlocks and, of course, haunted houses. The Museum of Peculiar Arts holds many oddities, including Penny, a child-size marionette who almost looks alive. One day, a boy named Chance touches Penny's strings and hears her voice in his head. Penny can listen, and watch and think? Now someone else is watching Penny and Chance --- a man with a sharp face, a puppeteer who has the tools to change things. And suddenly Chance is trapped in Penny's marionette body, while Penny is free. She knows that finding a way to switch back is the right thing to do. But this body feels so wonderful! How can Penny ever return to her puppet shell? When Stuart Cornelius Truly first sets eyes on the new girl, Becca, he staples his finger to his seventh-grade history assignment. The second time he sees her, he coughs up a bite of her lunch --- a vegetarian roasted pepper sandwich --- all over her sweater, and promptly lies, claiming that he, too, is a vegetarian. Their third encounter goes more smoothly, but it turns out that Stu's lie is hard to keep, since his family owns a butcher shop. 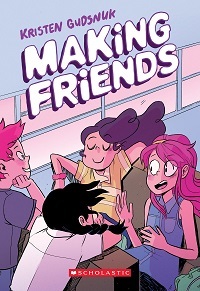 Can Stu learn to successfully navigate old friends, new crushes and horror-filled school dances, or will his lie to impress his crush cause his world to fall apart? Aran has never truly fit in with his selkie clan. He was born in his human form, without a pelt to transform him into a sleek, strong seal. Each day he waits, left behind while his selkie family explores the deep ocean. When his mother undertakes a journey to the far north to seek help, Aran is left in the care of a reclusive human woman on remote Spindle Island. Life on land is full of more wonders --- and more dangers --- than Aran could have ever imagined. Soon Aran will be forced to decide: will he fight for his place on land, or return to his home in the sea? Flossie Birdwhistle is the Turnkey at London’s Highgate Cemetery. As Turnkey, it’s Flossie’s job to ensure that all the souls buried in the cemetery stay at rest. Not an easy job for a young ghost, but a task made especially difficult by World War II. When Flossie encounters the ghost of a German soldier carrying a mysterious object that seems to exist in both the living and spirit worlds, she becomes suspicious. 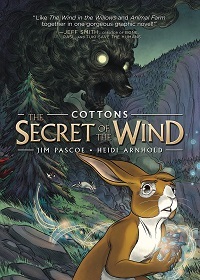 Before long, Flossie uncovers a sinister plot that could destroy not only her cemetery, but also her beloved country. 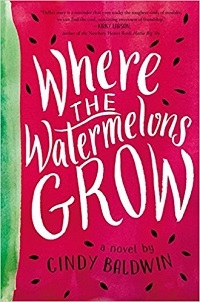 When 12-year-old Della Kelly finds her mother talking to people who aren't there, Della worries that the sickness that put her mama in the hospital four years ago is back. With her daddy struggling to save the farm and her mama in denial about what’s happening, it’s up to Della to heal her mama for good. But when the Bee Lady says that the solution might have less to do with fixing Mama’s brain and more to do with healing her own heart, Della must learn that love means accepting her mama just as she is. On August 2, 1943, Kennedy's PT 109 and two others were on a night mission to ambush an enemy supply convoy when they were surprised by a massive Japanese destroyer. The Japanese captain turned his ship to ram directly into Kennedy's. PT 109 was cut in half by the collision, killing two of Kennedy's 12 crewmen and wounding several others in the explosion. In Harm's Way tells the gripping story of what happened next as JFK fought to save his surviving crew members who found themselves adrift in enemy waters. At the 2016 Rio Olympics, Ibtihaj Muhammad smashed barriers as the first American to compete wearing hijab, and made history as the first Muslim-American woman to medal. But it wasn't an easy road --- in a sport most popular among wealthy white people, Ibtihaj often felt out of place. Ibtihaj was fast, hardworking and devoted to her faith, but rivals and teammates pointed out her differences, insisting she would never succeed. Yet Ibtihaj powered on. 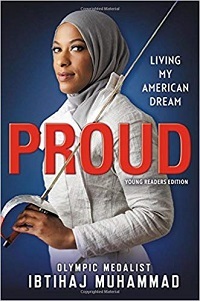 Her inspiring journey from a young outsider to an Olympic hero is a relatable, memorable and uniquely American tale of hard work, determination and self-reliance. New Horizons was designed by NASA to study Pluto and the fringes of our solar system, farther away than any spacecraft has ever explored. This remarkable ship, no bigger than a piano, and using no more energy than a lightbulb, has already traveled three billion miles out to Pluto, and is continuing on to the Kuiper Belt, the farthest reaches of our solar system. The book will feature the beautiful, amazingly sharp photographs it is sending back from its journey, which are letting scientists fill in the blanks in our knowledge of Pluto --- and delivering a few surprises along the way. Mildew and Sponge don’t think much of Maudlin Towers, the blackened, gloom-laden, gargoyle-infested monstrosity that is their school. But when somebody steals the School Spoon and the teachers threaten to cancel their holiday break until the culprit is found, our heroes must spring into action and solve the crime! But what starts out as a classic bit of detectivating quickly becomes weirder than they could have imagined. Who is the ghost in the attic? What’s their history teacher doing with a time machine? And why do a crazy bunch of Vikings seem to think Mildew is a werewolf? Denis Egan is dead. He’s okay with that. It’s been five years since he died, and the place where souls go is actually pretty nice. However, something is standing in his way. His twin brother Matt can’t let go of him, and as long as the living are holding on to his memory, Denis can’t rest in peace. To uncover the truth about what happened, Denis teams up with Matt. But visiting for too long has painful consequences for Denis, and Matt’s renewed interest in his brother’s passing is driving a wedge between his parents. Can the boys solve Denis’s death without breaking apart the family he’s left behind? There was no warning the day magic died in Talhaven. It happened with a giant explosion and the arrival of a skyship full of children, all with magic running through their veins and no memory of home. 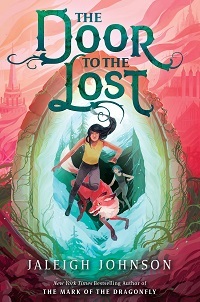 Rook and Drift are two of those children, and ever since that day, they've been on the run, magical refugees in a world that doesn't trust magic, because dying magic is dangerous, and it's beginning to poison people. Try as they might, Rook and Drift can't remember anything about their lives before Talhaven. But it's beginning to look like they're the only ones who can save their adopted world...if that world doesn't destroy them first. Sixth graders Ralph, Jojo, Noel, Persephone and Cammi are hooked on fantasy tabletop role-playing games. When they somehow manage to summon their characters to Ralph's house, things take a truly magical turn! The five are soon racing around town on a wild adventure that tests their both their RPG skills and their friendship. Will Ralph and crew be able to keep their characters out of trouble? Eighth-grader Emma Macintyre could use some good luck. The popular kids at her school ignore her, the boy she likes is out of her league and her best friend has been ditching her for the mean girls. Worst of all, her beloved Aunt Jenny died recently, leaving Emma and her single mom reeling with grief. Then Emma receives a mysterious letter with no return address. The letter promises that ten lucky little things will happen to her over the next thirty days --- she just has to make a list of what she wants. When the things on her list start coming true, she races to understand what’s happening. Before landing a spot on the megahit Netflix show "Orange is the New Black"; before wow-ing audiences as Lina on "Jane the Virgin"; and before her incredible activism and work on immigration reform, Diane Guerrero was a young girl living in Boston. One day, while Guerrero was at school, her undocumented immigrant parents were taken from their home, detained and deported. Guerrero's life, which had been full of the support of a loving family, was turned upside down. Orcas have a reputation for being bloodthirsty, but that myth is being debunked as scientists learn more about these "killer" animals. Readers follow scientists in the Pacific Northwest who study the nuanced communication patterns, family structure, and socialization of orca whales, from marine biologists to specialists in the study of sound. With stunning photography and attention to field-based detail, THE ORCA SCIENTIST paints a vivid picture of the individuals who have made it their life's work to better understand orcas, as well as the whales they are helping to avoid extinction. In RAD GIRLS CAN, you'll learn about a diverse group of young women who are living rad lives, whether excelling in male-dominated sports like boxing, rock climbing or skateboarding; speaking out against injustice and discrimination; expressing themselves through dance, writing and music; or advocating for girls around the world. Each profile is paired with the dynamic paper-cut art that made the authors' first two books New York Times best sellers. Featuring both contemporary and historical figures, RAD GIRLS CAN offers hope, inspiration and motivation to readers of all ages and genders. Sixth grade was SO much easier for Danny. All her friends were in the same room and she knew exactly what to expect out of life. 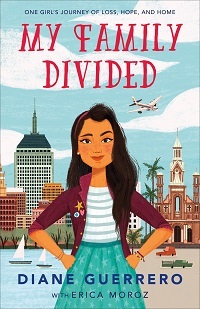 Now that she's in seventh grade, she's in a new middle school, her friends are in different classes and forming new cliques, and she is totally, completely lost. What Danny really needs is a new best friend! So when she inherits a magic sketchbook from her eccentric great-aunt in which anything she sketches in it comes to life, she draws Madison, the most amazing, perfect and awesome best friend ever. Word of Mouth: Tell us about the books you’ve finished reading with your comments and a rating of 1 to 5 stars. During the contest period from July 20th to August 3rd at noon ET, three lucky readers each will be randomly chosen to win a copy of BLOODY SUNDAY by Ben Coes and A NOISE DOWNSTAIRS by Linwood Barclay. Sounding Off on Audio: Tell us about the audiobooks you’ve finished listening to with your comments and a rating of 1 to 5 stars for both the performance and the content. During the contest period from July 2nd to August 1st at noon ET, two lucky readers each will be randomly chosen to win the audio versions of JP Delaney's BELIEVE ME, read by Sally Scott and others, and Debbie Macomber's COTTAGE BY THE SEA, read by Karissa Vacker. Win 12 Copies of NEED TO KNOW by Karen Cleveland for Your Group: Each month, we ask book groups to share the titles they are reading that month and rate them. From all entries, three winners will be selected, and each will win 12 copies of that month’s prize book for their group. Note: To be eligible to win, let us know the title of the book that YOUR book group is CURRENTLY reading, NOT the title we are giving away. This month's prize book is the paperback edition of Karen Cleveland's debut thriller, NEED TO KNOW, in which a high-powered CIA analyst makes a shocking discovery about her husband that leads her to question everything she believes. This New York Times bestseller was a Bookreporter.com Bets On pick when it released in hardcover earlier this year, and film rights have been sold to Universal Pictures for Charlize Theron. The deadline for entries is Monday, September 10th at noon ET.